Fort Worth's hippest barbecue restaurant, Heim Barbecue, will open a second location sometime in 2017. Owners Travis and Emma Heim announced the opening via Facebook, including the location at 4400 White Settlement Rd., in the space formerly occupied by Froggy’s and Thurber Mingus. The opening comes a mere four months after the couple opened their brick-and-mortar space on Magnolia Avenue. "Emma and I feel like this is a one-of-a-kind space, with a gorgeous patio right on the river, stage for live music, bigger kitchen space, and much more," says Travis in a post. "It is going to take a ton of work to get the space up to our standards, but we are excited to start this awesome project and serve many more people great Texas BBQ in the exciting new River District area." The location will expand on the existing menu of barbecue, sides, and desserts, with smaller items for snacking or sharing with a group, vegetarian options, and a kids' menu. The exact opening date is still TBD. "After the Magnolia location, we learned our lesson on giving out expected opening dates," Travis says. "So we can confidently say that we will with 100 percent certainty be open in 2017, but won’t be able to get more specific until we have a better timeline on construction." 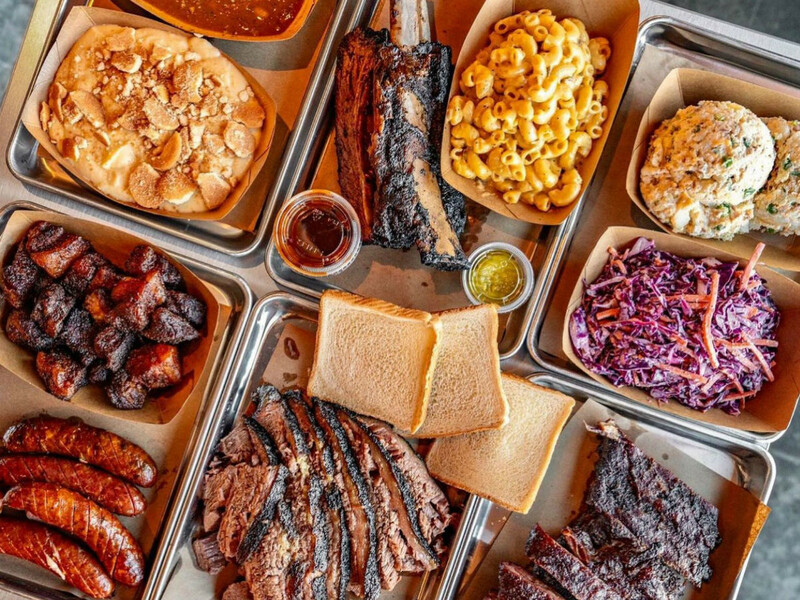 The Magnolia Avenue restaurant was one of the most hotly anticipated openings in Fort Worth, and it made our list of the 10 absolute best barbecue joints in Dallas-Fort Worth. In his review, CultureMap contributor Malcolm Mayhew recalled the 10-minute waits that turned into hour-long waits, until demand necessitated that a brick-and-mortar be built. Travis describes the last few years as a whirlwind. "From cooking a brisket for friends at our church, to selling ribs out of a parking lot for extra cash, to following our dreams and opening our food truck at Republic Street bar, and now four months in to the brick-and-mortar restaurant being open at Magnolia Avenue, we have been completely overwhelmed by the love and support of everyone in our community," he says.